Schrenk, M.; Popovich, V. V.; Zeile, P.; Elisei, P.; Beyer, C.; Navratil, G. (Eds. ): EXPANDING CITIES – DIMINISHING SPACE. Are “Smart Cities” the solution or part of the problem of continuous urbanisation around the globe? 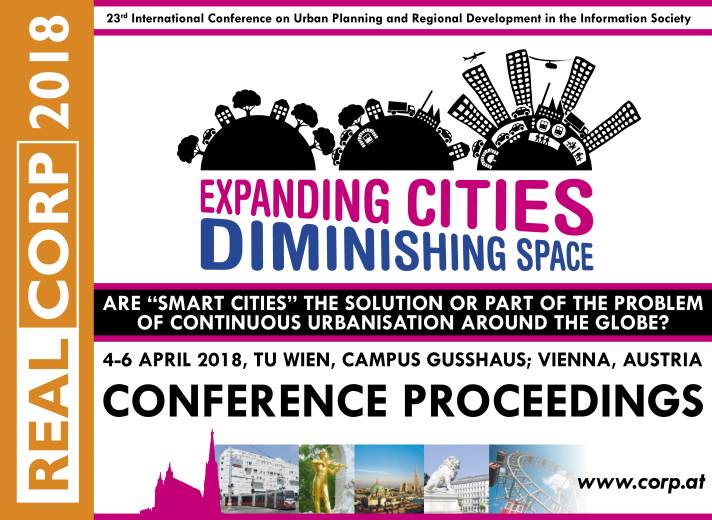 Proceedings of REAL CORP 2018, 23rd International Conference on Urban Development, Regional Planning and Information Society. Vienna, 2018.